Hunting lovers always stay passionate for deer hunting which is one of the most exciting but challenging task because a large number of people fail to get success in deer hunting for various reasons. That is why; scouting plays a vital role in making your deer hunting trip successful especially in summer. Scouting deer requires you to roam about in hunting areas and observe the places where deer come on regular basis. Noting down the movement of deer and their visiting locations are the main objectives of scout deer. Keep reading to know how to scout deer in the summer. First of all, you should get as much information as possible about the hunting area and try to get a map of that area in order to have a better understanding of the demographics. 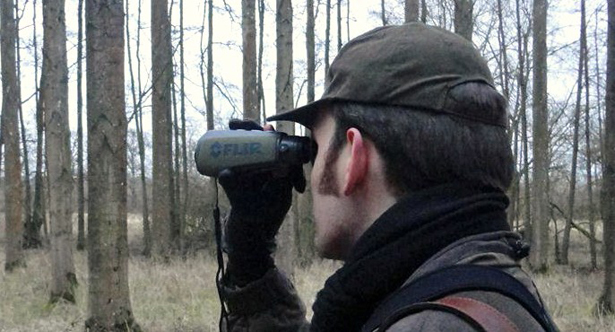 You need to have a complete knowledge of the locations that grab attention of deer in summer and then try to observe those places by using your binoculars which will help you to note the movement of deer while staying hundreds of metres away. Deer always stay alert to even meagre movements and they also have an incredible smelling power. So, you have to be careful while scouting deer and make sure you do this activity while staying far away from them. If you fail to keep yourself hidden, deer will run away from the place and the chances are high that these beautiful animals will not visit that place again. So, you have to be very careful while keeping an eye on them. Scouting the hunting place is the most important part as it also helps in knowing the different places which are best for hunting. So, during your scouting deer, you should also note down those place where the hunter can sit and fire easily. Make sure you select those areas for the hunters where they can hide themselves easily from deer and from where that could be able to hit the target. Scouting deer in late summer will help you to locate branches of trees that can be trimmed easily to make the stands for hunting deer. In late summer, the trees are leafed out and this is a perfect season for deer hunting. During scouting, you should select those areas which are frequently used by deer. It will help you later on for making hunting stands and will bring you good results.